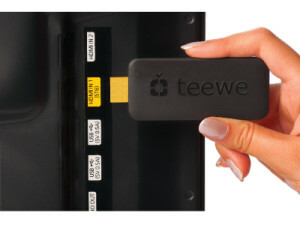 India’s Most loved Instantly stream media device Teewe 2 available to purchase via the company’s official site and will be available on Amazon on 25th May. Its best device which maximize your Entertainment experience. Plug the device to the HDMI port of larger TV screen and Stream it from your mobile or smartphone device. Teewe 2 Application is available for Windows, Max, Linux. Plug the Teewe into your TV and download the App. After the one time set up, play anything from your phone directly to your big computer screen. Also enjoy the Online contents from your device to big HD screen. Also you can enjoy the videos from Facebook, Vimeo, Youtube, 9gag and more sites using the Teewe Chrome plugin.